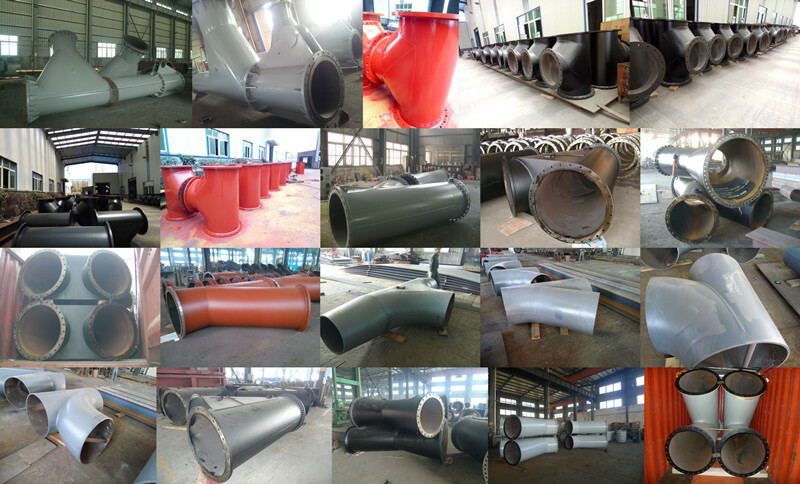 Product categories of Branch Pipe, we are specialized manufacturers from China, Y Branch Pipe, Y Branch Fitting suppliers/factory, wholesale high-quality products of Y Pipe Exhaust R & D and manufacturing, we have the perfect after-sales service and technical support. Look forward to your cooperation! There are three openings of fittings called Branch Pipe(tee). Tee widely used to transport liquid, gas pipe network. Due to different delivery medium, tee's material is divided into: iron, steel, copper, aluminum, plastic, glass etcThere are three hole, that is an inlet, two outlets; or two inlets, one outlet. A kind of chemical pipe, there are T-shaped and Y-shaped, with equal diameter nozzle, orifice diameter pipe there for three at the same or a different collection piping. Its main role is to change the direction of flow. Press material can be divided into the three-way metal and nonmetal materials. Metal tee carbon steel, stainless steel, alloy steel, malleable iron threaded tee is the standard production, the implementation of the national standard is GB / 12459-2005. Non-metallic materials have a three-way PVC, UPVC, PPR and so on. By snap connection can be divided and a threaded connecting the two. GB, electricity standard, technology standard, water standard, American standard, German standard, Japanese standard, the Russian standard, etc., as follows: GB / T12459-2005, GB / T13401-2005, ASME B16.9, SH3408, SH3409-96, SH3410-96, HG / T21635, DL / T 695, SY / T 0510, DIN 2615. For changing the flow direction, it can be used for water pipe, pipeline road and various liquid chemical material supply line. Mainly used for medicine, water conservancy (water-saving irrigation, water supply and drainage), energy (oil, natural gas, nuclear industry), construction and other projects.